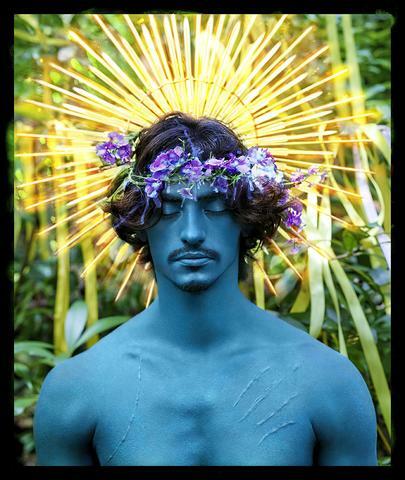 Reflex is delighted to announce the latest solo exhibition of the celebrated and accomplished photographer David LaChapelle. 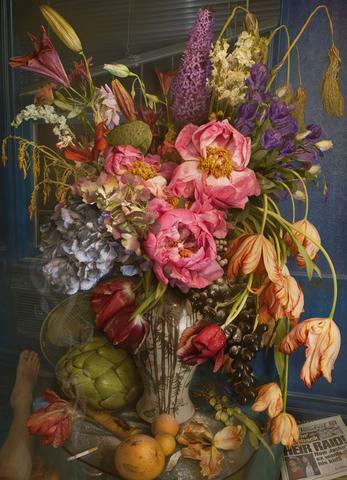 Almost ten years since his last show with us, LaChapelle is back to present his most recent work. The exhibition includes highlights from the past ten years, as well as a selection of previously unseen work which will debut in Amsterdam. Act of Nature sits at the intersection of the earthly and the transcendental, of a utopian fantasy and a dystopian reality, with humanity and nature living both in harmony and in conflict with one another. 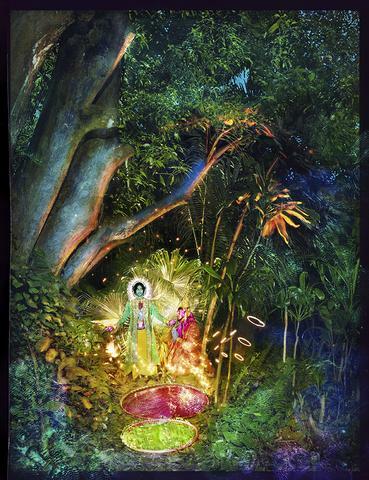 Drawing from his immediate surroundings and his previous experience as a photographer to the stars, from religion and spirituality, and from the art historical canon, LaChapelle crafts images that not only capture the visual senses, but also the mind and the heart. A gas station depicted in the middle of the jungle shines brightly as an illuminated beacon of consumerism, radiating otherworldliness in the midst of abundant vegetation. The narrative laden image suggests a struggle between wilderness and domestic. Is this an act of human interference? Or is nature fighting back? 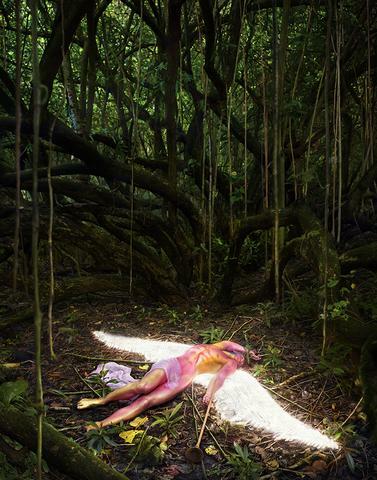 Paradise, one of LaChapelle's more recent series, imagines the utopian interaction between nature and humans. 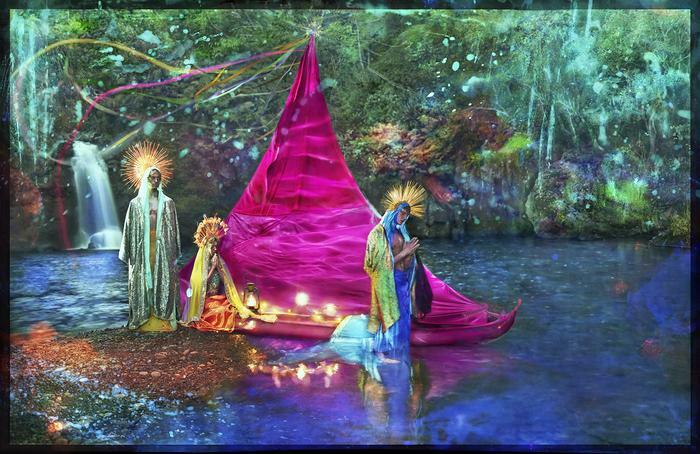 Shot in his native Hawaii and filled with mystical symbolism hand-picked from different religions, the series emanates magic and bursts with colour. 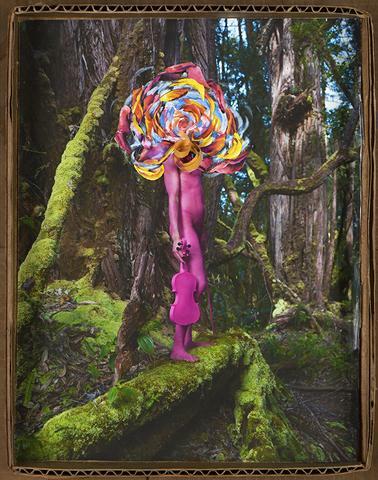 Works such as Praise Dance, from an earlier series, and the new work Songs in My Head illustrate LaChapelle's intriguing collage technique of assembled and hand-painted negatives. Jesus and Buddha under a Tree, another work premiering at Reflex, shows the traces of the artist’s fingerprints left behind in this process. Famed for his one-of-a-kind vision and aesthetic, as well as his daring portraits of celebrities, LaChapelle is considered one of the most important photographers of the century today. In 2006, LaChapelle decided to minimise his participation in commercial photography and return to his roots by focusing on fine art photography. Since then, he has been the subject of exhibitions in both galleries and leading public institutions around the world. Last year the Groninger Museum hosted a large-scale survey of LaChapelle's work, showing over 70 significant pieces from various periods. This will be his third solo exhibition at Reflex Amsterdam. Our special events programme surrounding the exhibition includes the opening and a book signing, both held on June 1st in presence of the artist. A lecture is planned for the week of May 27th, exact date to be announced soon.